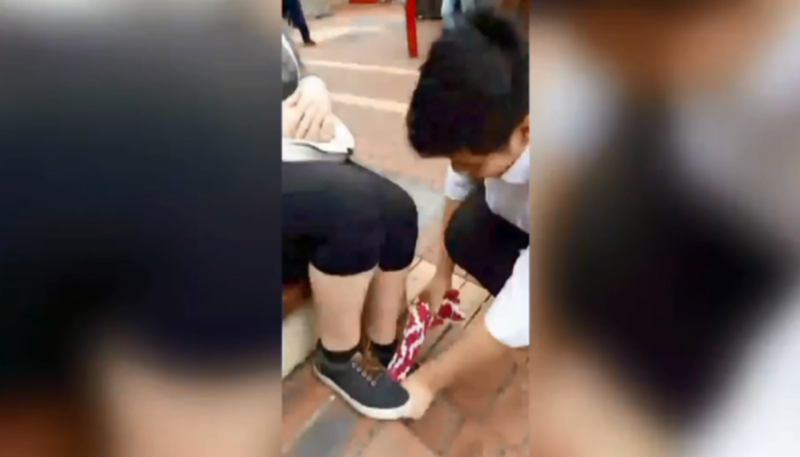 Wellington residents were caught unaware on Wednesday when a group of young women and men burst into a singing and shoe-shining routine. In the video, each performer seems to have a different task, with some running around carrying musical instruments, while others focus on shoe shining. The camera pans to one man who is ‘shining’ the shoes of a stunned onlooker seated close by, who laughs and thanks the actor once he is done. A Wellington resident has said the performance is one of the reasons he loves the city. The resident described the scene leading up to the spontaneous shoe shine, where the group roamed up and down Cuba Street in central Wellington. The group’s shoe-shine performance took place next to the infamous Cuba Street bucket fountain, which the Wellingtonian said was “really cool”. The group’s surprise performance was in the name of promoting a show that opens in Wellington tomorrow night.